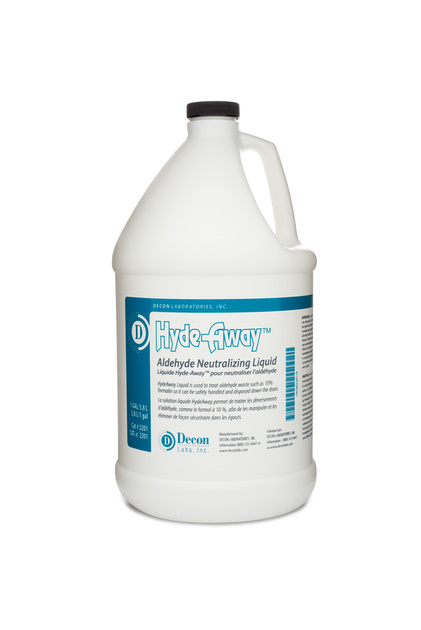 Hydeaway™ neutralizes spent formalin and other aldehydes for drain or trash disposal. Hydeaway™ liquid allows for drain disposal. Hydeway™ crystals solidify waste for trash disposal. Hydeway™ products have the highest neutralization ratios available- liquid 1:15 and crystals 1:30. Useful for formaldehydes, formalin and glutaraldehydes, and the crystals are excellent for spills.